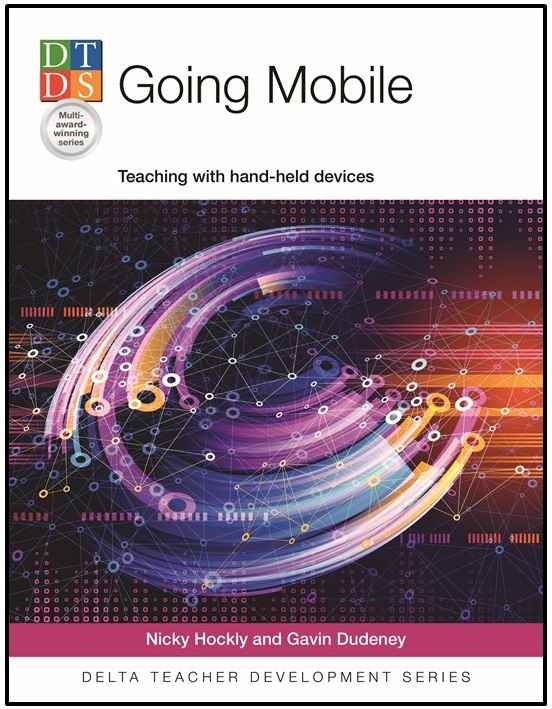 To celebrate the recent publication of our new book Going Mobile (co-authored with Gavin Dudeney), we’re sharing a number of activities you can try out with your students, to get them using mobile devices as part of the their language learning. Last week’s activity (Addicted!) required no devices at all in class. 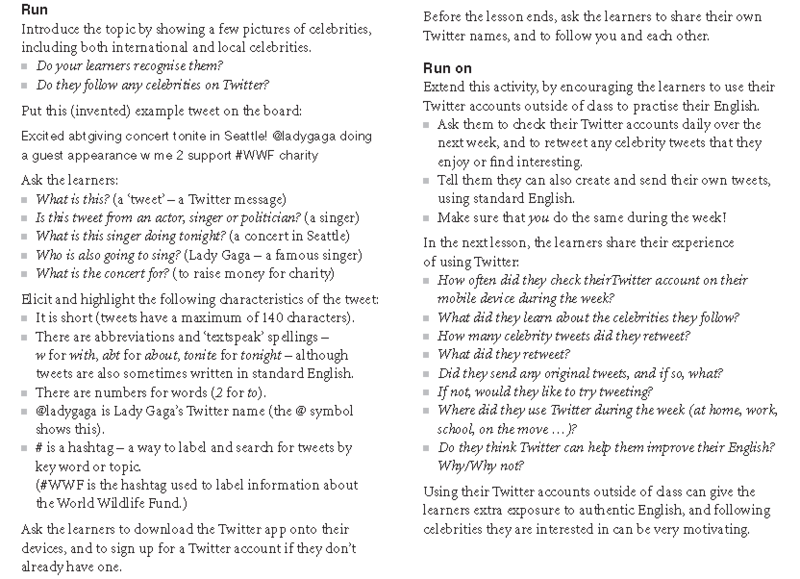 This activity encourages students to start using the ‘text’ function of their mobile phones with Twitter. 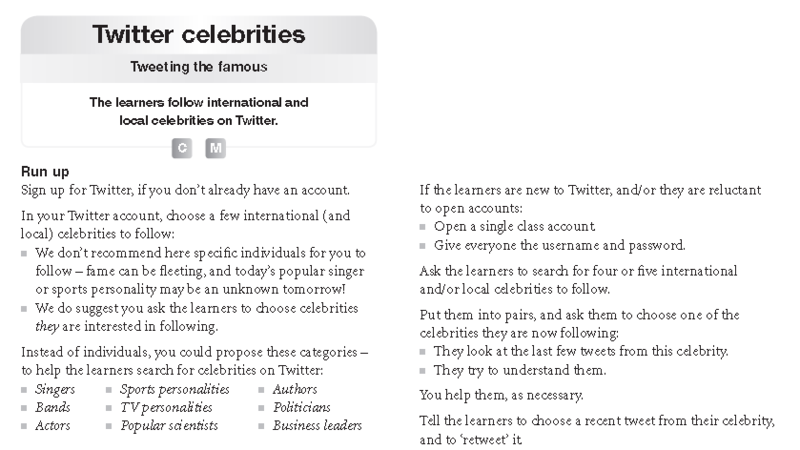 If you decide to try this activity with your students, I’d love to hear their reactions (let me know in the Comments box below)!